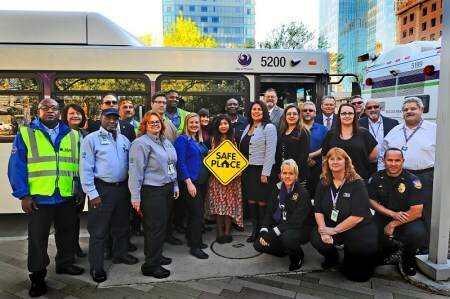 PHOENIX, AZ (November 22, 2016) - As of today, homeless, runaway and abused teens can connect to life-changing resources on every Valley Metro and city of Phoenix bus in Maricopa County. 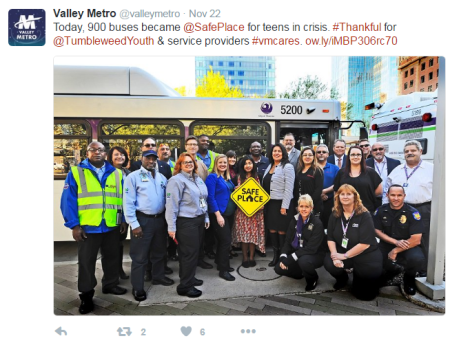 In support of local youth and in partnership with Tumbleweed Center for Youth Development, Valley Metro has expanded Safe Place from light rail stations to include all 900 buses that serve 100 routes across 512 square miles. 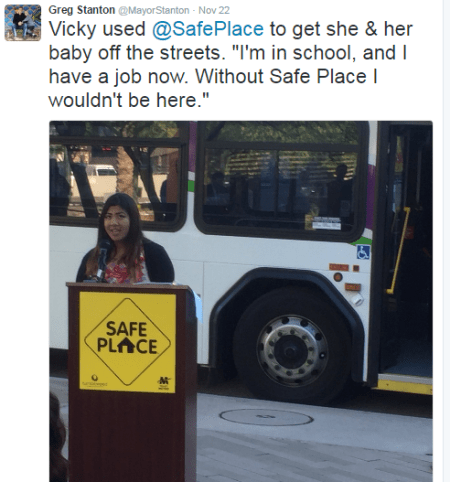 If you're interested in becoming a Safe Place location or would like to start the program in your community, please contact Susan Harmon, Director of Safe Place National Operations, at [email protected] or 502-635-3660. 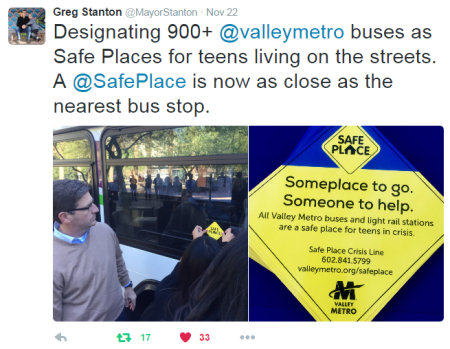 Comments on "Valley Metro Designates 900 Buses as Safe Place Locations for Youth"